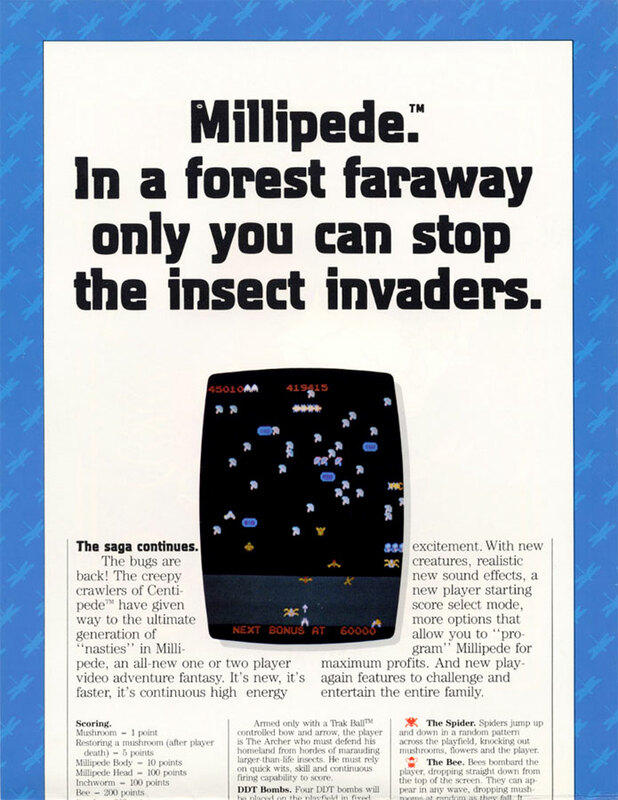 If you were a fan of Centipede in the early days of arcades, Millipede was the next logical step. It was quite similar, as a sequel, but they made several changes to the enemies. I could never figure out the right strategy for either insect game and was constantly avoiding enemies as mushrooms popped up all around me. 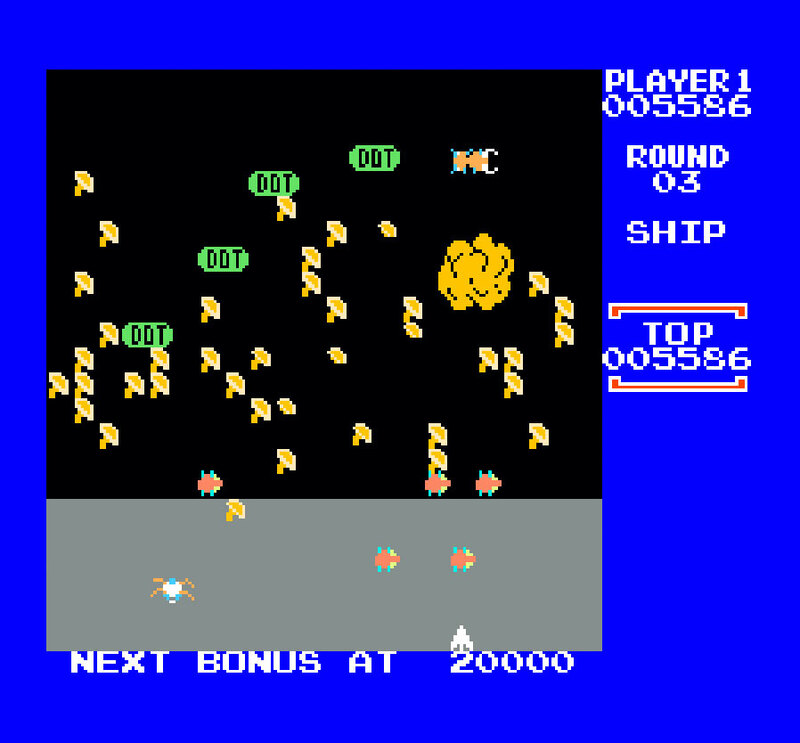 I finally concluded, dropping quarters into Millipede & Centipede was money I didn't have to spend on Defender, Berzerk or Zaxxon... although I did enjoy Atari's bug series. I never saw it on the 2600 in the mid-80s and skipped it on the NES, but I did reacquaint myself with it when it was published on Game Boy and GBA. Going back to it on the NES (years later), I'm sort of glad I skipped it. I adored nearly every arcade release for home consoles, but Millipede, for the NES, just doesn't do justice to the original. The excitement of arcade games coming home for the Atari 2600 was astounding. The superior sound and graphics of the NES made that feeling jump tenfold. Games I adored on the 2600 and played in arcades were coming out for the NES as well - just in a slightly different timeframe. 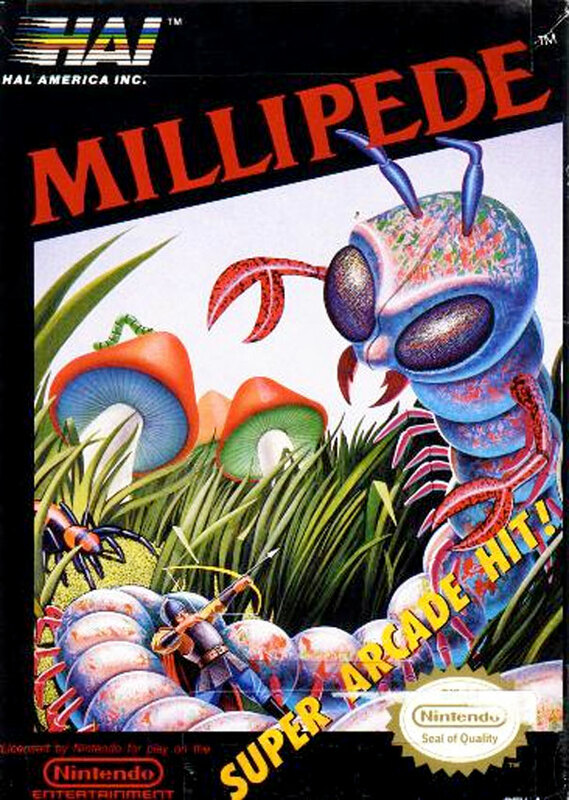 Millipede wasn't on par with other arcade releases despite the NES' horsepower. My main complaints are occasional slow downs and the choice of small screen size. Millipede used a portrait-oriented monitor in the arcade which didn't lend well to square TV sets of that era or the rectangular ones today. The use of screen real estate is pretty lame. They did place the scoring and lives to the side, but why not let the play-area fill the remaining height? You are lost in a dark enchanted forrest (a stark gray background) where you have only magic arrows to defend against a monstrous sized Millipede and a variety of creepy insects that hone in on you with alarming speed. Their path changes as they encounter mushrooms - you must eliminate the mushrooms to keep the Millipede from descending faster. in both upright and cocktail arcade cabinets. It was primarily ported to Atari home consoles but also appeared on Game Boy and NES. Donald Hayes of NH scored a world record 10,627,331 points on Millipede - Dec. 26, 2004. You begin with 4 lives and an everlasting supply of magic arrows to fire at your enemies. As a sequel to Centipede, Millipede is very similar and differs mostly in terms of the enemies you encounter. DDT bombs can be shot and then explode taking out larger areas of enemies. Known in pesticide circles as dichlorodiphenyltrichloroethane, DDT ceased wide use in 1972 amidst health concerns and public outcry. 10 years later, it was a formidable weapon against pixelized Millipedes and other buggy foes. Directional change is your primary concern during game play. Each time the Millipede hits an obstacle, he reverses direction and moves down a row. I had a knack for creating a ping-pong like pathway in which the Millipede would ricochet downward at high speed as I pondered what to to... other than lose a life. Unlike many horizontal shooters, both Centipede and Millipede operated on this idea, but gave you a bit of room to move vertically as well. As you lean to make use of the ability to navigate up and down, you begin to realize the advantage of playing with a trackball. The arcade controls for Millipede were quite simple - a trackball and a fire button. Simple controls of this sort often led to easy translation to home gaming consoles... with the exception of trackballs. Atari had trackball accessories that could be purchased separately. I don't believe the NES had a trackball option. Quickshot made what looked like a trackball, but it was a dome that slid to mimic the d-pad of the standard NES controller. Overall I like Millipede, but I think HAL missed the mark on this release. Slow downs and odd use of screen real estate make this a less desirable port. is as much fun as it's predecessor, but the NES use of screen space detracted from the fun. I understand the difficulty of placing a rectangle inside a square, but there seems to be a lot of unused space in this version. There have been more successful ports of Millipede that really bring out the manic tension of the descending creature.